Both palettes features a range of wearable, everyday type shades and the formula is pigmented and smooth so they're easy to work with. 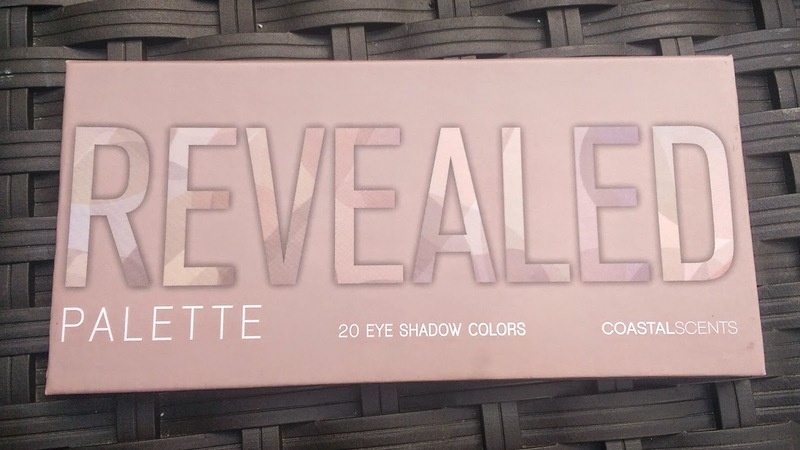 In fact, the Revealed Palette features many of the same shades as the original Urban Decay Naked Palette and the Naked 2 Palette -- warm, bronzey browns and cool taupey shades. The Revealed 2 Palette is similar to the Urban Decay Naked 3 Palette with rosy natural shades and warm burgundy and purplish tones. But unlike the Urban Decay palettes, which cost $54 and only have 12 shadows each, the Revealed Palettes contain 20 shadows and retail for only $19.95 each. And they're worth every penny. 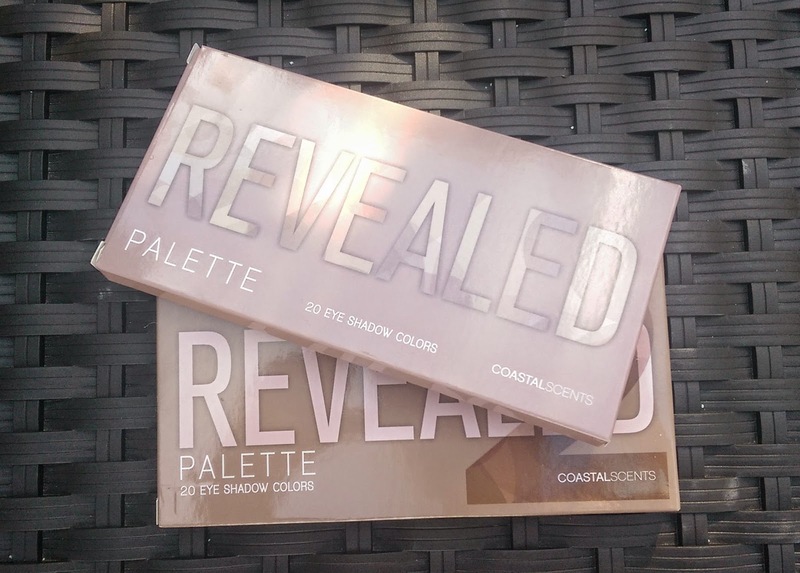 The Revealed Palettes come in cardboard packaging that's super slim, so they're easy to store, There's no mirror on the inside, which leaves the palettes pretty light too. The shadows in the palettes aren't named so I'll just let the photos and swatches speak for themselves. Lately, I'm really feeling warm, rosy or burgundy shadows so I would probably say the Revealed 2 is my favorite. 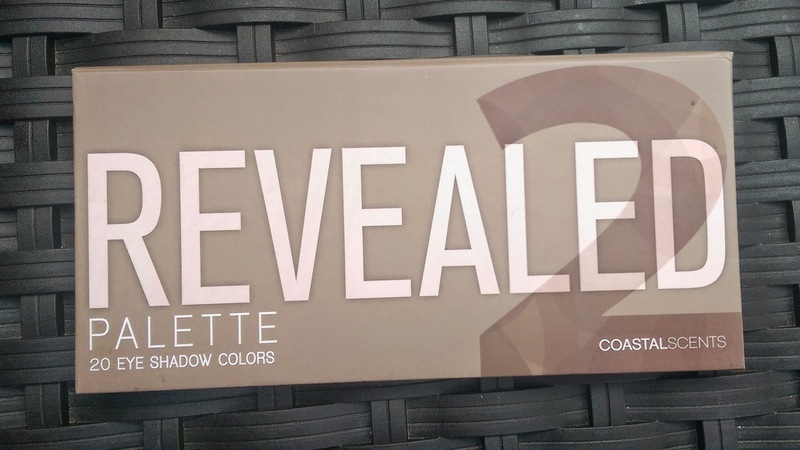 But whenever I use the Revealed Palette, I love that too so I'd be hard pressed to pick between them. The palettes contain a mix of shimmer and matte shades. 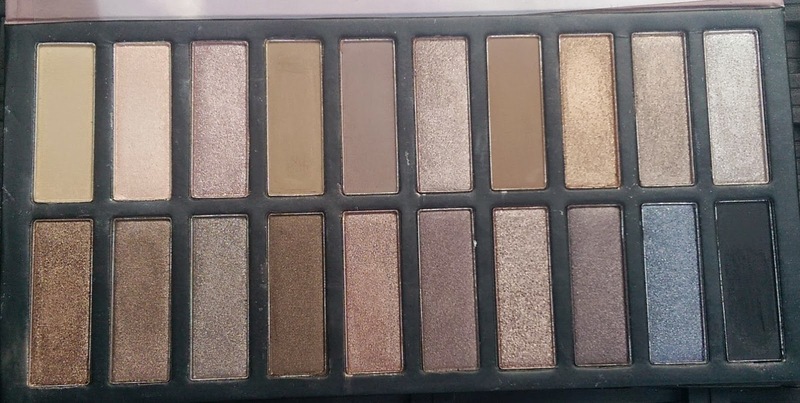 There are a couple of shades between the palettes that remind of the glittery shadows in Urban Decay's heavy glitter shadows in that they're kind of sheer and full of super chunky glitter. In particular, I'm thinking of the light pink shade three in from the left in the top row of the Revealed 2 Palette which can be a little difficult to work with. Laying down a sticky base in a similar shade definitely helps -- and the extra effort is kind of worth it because the shade looks gorgeous and bright on the lid. The majority of the shadows, though, have a smooth, easy to blend consistency and are nicely pigmented to boot. If you haven't picked up the Urban Decay Palettes because they're a little too pricey, I think these are a really nice alternative -- and Coastal Scents ships worldwide so you can pick these up even if you live outside the U.S.
Have you tried the Coastal Scents Revealed and/or Revealed 2 Palettes? Which is your favorite? well I do have bluish eyes...maybe I should start experimenting a bit more... although the last time I tried a fairly reddish colour my eyes looked like I´ve been crying for a month. Now I know why we are such good friends – great minds think alike. Even though you and I have never discussed Coastal Scents, a few weeks ago I bought their Winterberry Palette from Amazon. It contains all of the different purple/berry colors I love. I was looking to replace an eye shadow quad I got at Sephora the last time we were in Vegas. I’m loving the colors and with a price tag of $12.95 for 12 shades, you can’t beat the value.